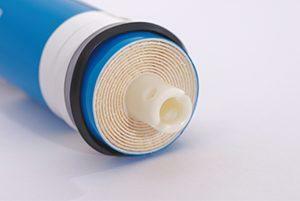 Are you looking for Marine Water makers? 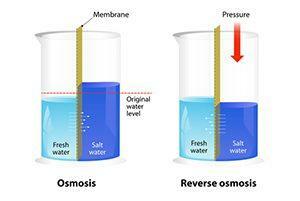 Marine water makes produce fresh and clean drinking water extracted from seawater from a procedure called reverse osmosis. This filtration process is achieved by using a semi-permeable membrane to force a solvent from a high solute concentration region to a low solute concentration region and applying sufficient pressure in excess of the osmotic pressure. It is a great way of obtaining drinkable water from seawater. For many years, Sea R.O. Watermakers has served the marine industry with the installation and service of RO systems abroad a wide range of small cruising yachts, megayachts, as well as cruise ships. 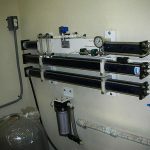 Our watermaker services include manufacturing, installation, distribution, and maintenance of Reverse Osmosis desalination plant systems throughout Florida. We have experience with virtually every major brand of land based and yacht system on the market. Sea R.O. Watermakers manufacture the most efficient, quietest, finest quality, and easiest to use watermakers in the world. You invest a lot in your yacht, so you want to make sure that the equipment you have in it works properly whenever you need it. With the support of our marine watermaker services, you will never be left stranded. Over the years, Sea R.O. Watermakers has manufactured intuitive and the most innovative watermakers. By combining a client-first idea into the designs, we ensure that the overall quality and performance of our products is never compromised. At Sea R.O. Watermakers we provide the best systems in the market, including installation, and maintenance services throughout Florida. We are familiar with all the makes and models of RO systems and watermaker products, and we are willing to go the extra mile to fulfill your requirements and needs. We assemble and distribute watermakers all around the world. We combine latest technologies and our years of experience with high-quality industry standards, offer our clients customized watermakers. We offer comprehensive RO system and watermaker equipment installation services. We are the experts in all onboard systems installation and designs. We can also make custom components to suit your vessel and your needs. We perform the installation job efficiently in order to make sure that there are no problems with the machining and fabrication facilities. At Sea R.O. Watermakers, we also specialize in the inspection and maintenance of all types of marine watermakers. We can do regularly scheduled maintenance if required. With our inspection and maintenance services, we make sure that your watermaker systems work with optimal performance and remain economical to operate. Replacement of high-pressure oil in accordance with manufacturer’s specifications. At Sea R.O. Watermakers, we believe that you deserve more from your watermaker products. Dealing with maintenance and confusing controls should not be a concern. We are committed to developing and designing innovative new watermaker products and continually improving the solutions of water desalination. Learn more about our commercial water filtration services at 954-527-5282.